First of the #PenyFan series. Oil on canvas. Called ‘Pen y Fan Twilight’. 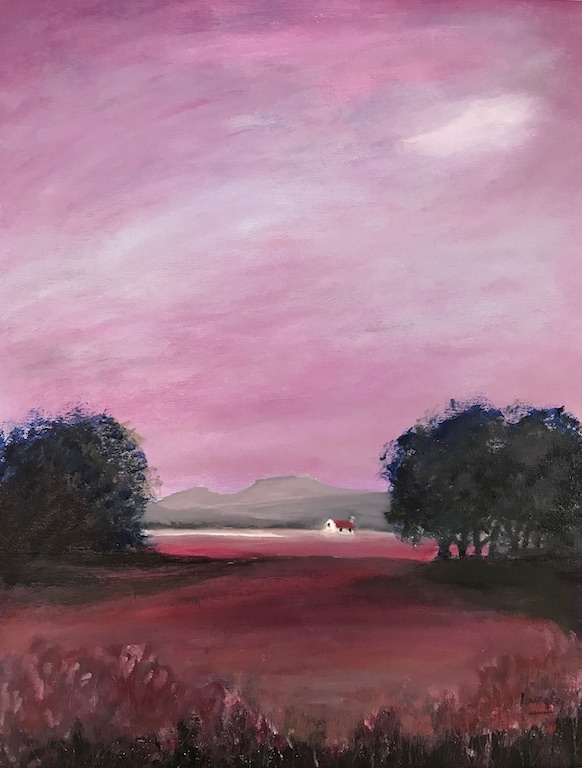 A cottage sits in a beautiful landscape of pinks and tones of violet. The outline of Pen y Fan overlooks the scene. 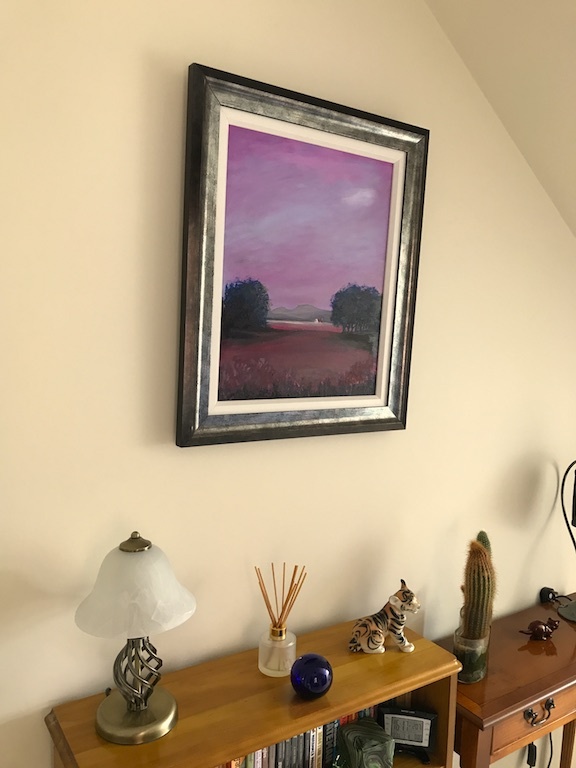 The horizon of the distant fields are highlighted in bronze, presenting a shimmer – adding a real sense of depth to this painting. Image size 20×16″. In frame: 26×22″. Original sold. Unframed canvas print available.